This is my uncle Leslie. Thank you to everyone who cares for and maintains his grave. 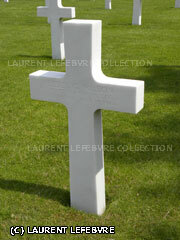 I am planning a trip to France next year and will visit the Omaha Beach Memorial.